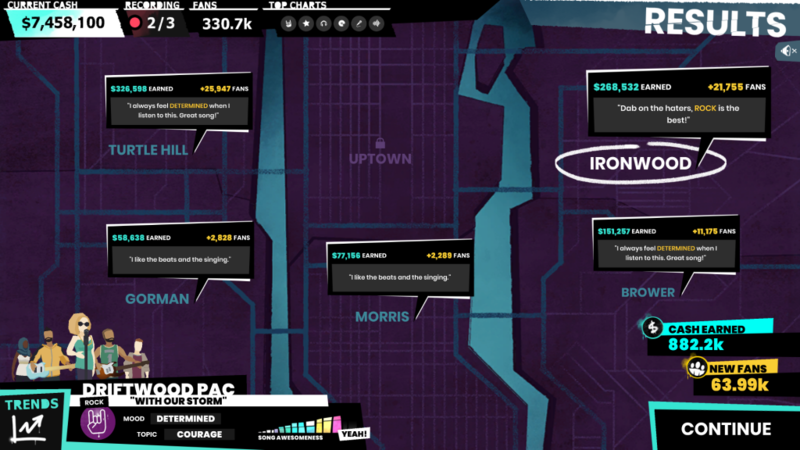 Beats Empire is a turn-based computational thinking game where the player runs a small music studio and record label in a fictional city, reminiscent of New York. 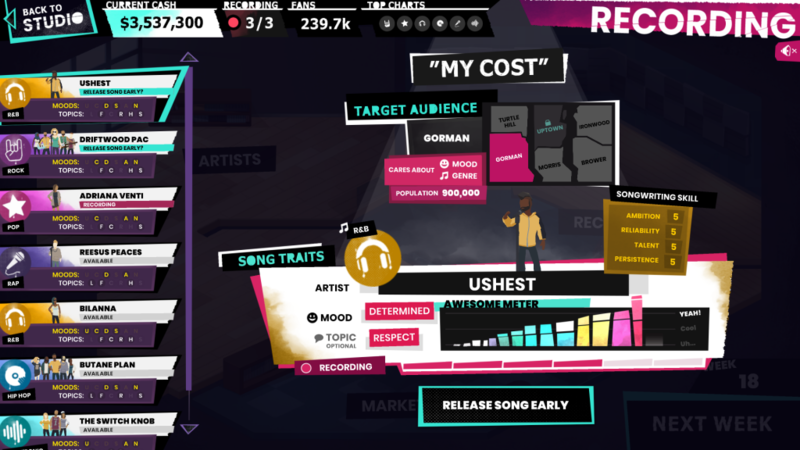 The player analyzes market data about the musical preferences of the citizens in the boroughs of the city, which enables the player to make informed business decisions for their studio. 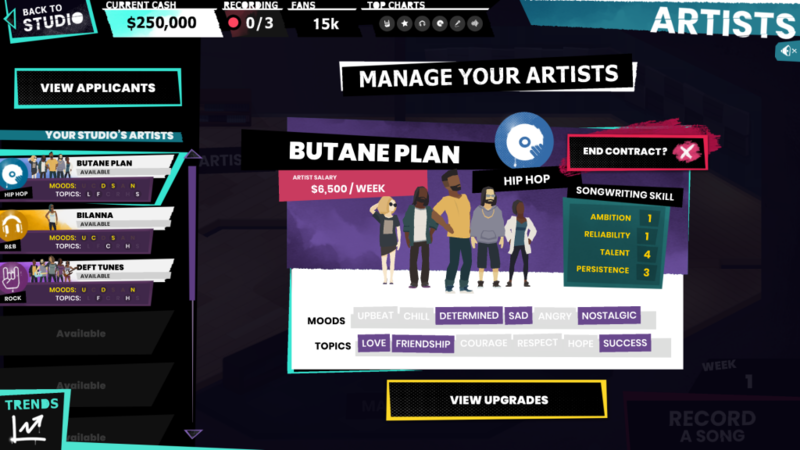 Using the market and trend insights gained from analyzing this data, the player can sign artists, book them on gigs, record songs, and fulfill marketing department requests. 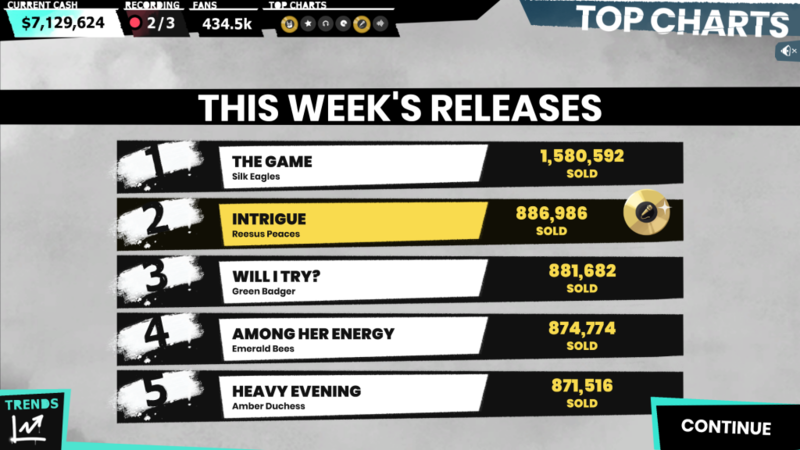 Through these actions, the player gains a strong understanding of computational thinking, using data analysis and visualization to bring cash into the studio, attract new followers, and dominate the charts. 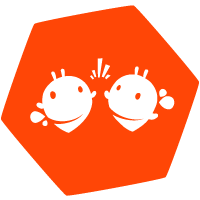 Learn more about the research behind Beats Empire here!